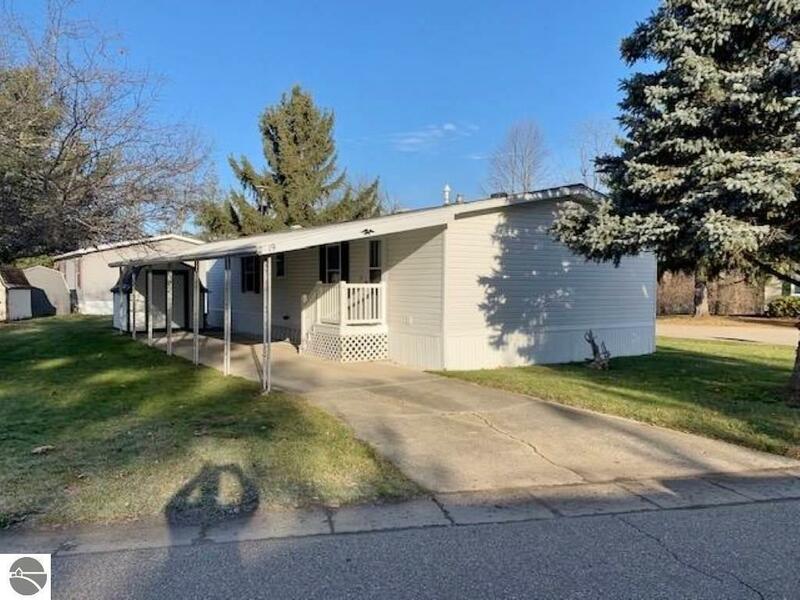 3 BEDROOM, 2 BATH DOUBLEWIDE LOCATED IN THE EVERGREEN MOBILE HOME PARK IN ST LOUIS. HOME IS ON A NICE LOT THAT HAS VIEWS OF THE RIVER. OUTSIDE HAS BEEN TAKEN CARE OF OVER THE LAST 10 YEARS WITH SIDING, ROOF AND WINDOWS BEING REPLACED. A NICE CARPORT WITH SHED ENHANCES THE OUTDOOR SPACE. INSIDE THERE IS A REMODELED KITCHEN, NEWER APPLIANCES AND A VERY CLEAN, MOVE IN READY HOME. LOT RENT INCLUDES WATER, TRASH AND SEWER. SELLER WILL PAY TRANSFER FEE FOR TITLE, BUYER TO PAY SALES TAX.